Dr. P. Nandagopal has graduated in Commerce, did his MBA in Finance & Marketing and PhD from Andhra University. He is also a Fellow of Institute of Company Secretaries and Fellow of Insurance Institute of India. He has worked for over 25 years in India’s leading Banking, Asset Management, Financial Advisory, General and Life Insurance organizations. 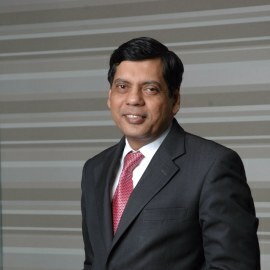 Before he joined the life insurance industry at the beginning of the historical opening of the sector in 1999, he was heading the retail sales at DSP Merrill Lynch, sales and marketing at GIC Asset Management and managing finance and operational functions at the divisional offices of New India Assurance. He also worked very briefly at Andhra Bank and Indian Oil Corporation before moving to the insurance industry.